12:40 a.m. Steamboat Springs Police Department officers were called to a noise complaint in the 2300 block of Après Ski Way. 11:21 a.m. Steamboat Fire Rescue firefighters were called to assist a person who fell in the 2500 block of Village Drive. 11:45 a.m. Officers were called to a reported disturbance at the base area of Steamboat Resort. 4:15 p.m. Officers were called to a report of shoplifting at a store in the 600 block of Lincoln Avenue. 5:25 p.m. Officers were called to a reported disturbance at a hotel in the 700 block of Lincoln Avenue. 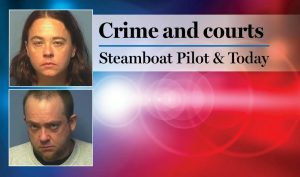 6 p.m. Officers were called to a report of criminal mischief in a parking garage at Steamboat Resort. 10:15 p.m. Routt County Sheriff’s Office deputies were called to a report of shots fired near Steamboat’s Dakota Ridge Subdivision. 10:35 p.m. Hayden Police Department officers arrested a person on suspicion of driving with a revoked or suspended license. The person also received traffic citations for displaying fictitious license plates, driving without insurance and having a defective or unsafe vehicle. Steamboat officers had 53 cases that included calls for service and officer-initiated incidents such as traffic stops. Sheriff’s deputies had five cases that included calls for service and officer-initiated incidents such as traffic stops. Steamboat firefighters responded to two calls for service.